← Woman finds her ring on a carrot! March is the month to celebrate all things Irish! Do you know what a Claddagh is? You may have seen people wearing this as a wedding ring. 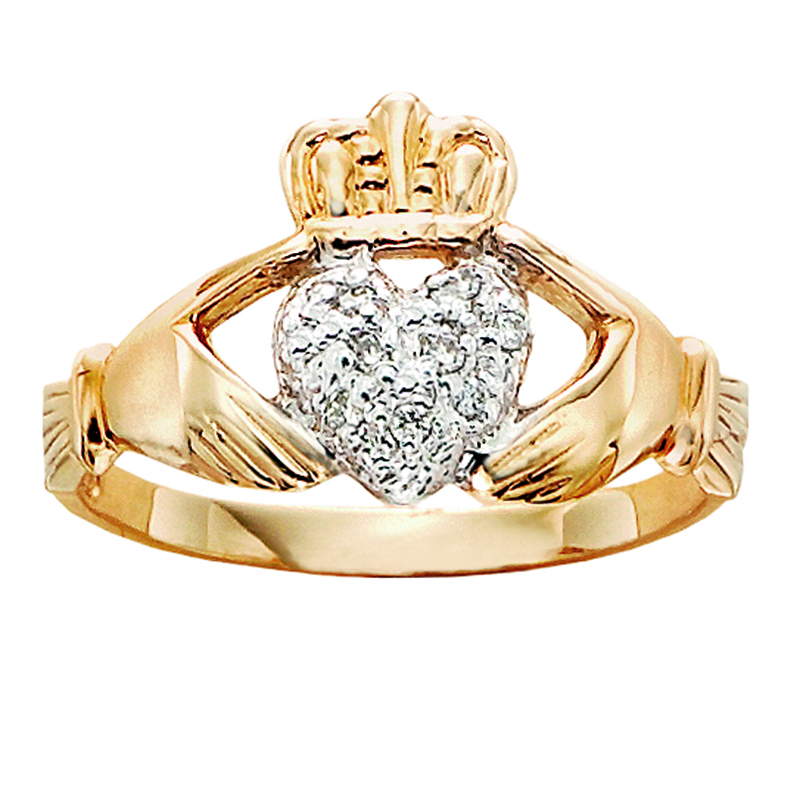 The Claddagh’s distinctive design features two hands clasping a heart, and usually surmounted by a crown. The elements of this symbol are often said to correspond to the qualities of love (the heart), friendship (the hands), and loyalty (the crown). The Claddagh is a traditional Irish wedding ring, but others can also wear it to show their Irish heritage, or just because they like the design! The Claddagh is not only a ring design, but also comes in earrings, pendants and charms. There are certain ways to wear the Claddagh, depending on if you are single, engaged or if you are married, because it shows others your relationship status. On the right hand with the point of the heart toward the fingertips, the wearer is single and may be looking for love. (This is most commonly the case when a young woman has first received the ring from a relative, unless she is already engaged). On the right hand with the point of the heart toward the wrist, the wearer is in a relationship (suggesting their heart has been “captured”). On the left hand with the point of the heart toward the fingertips, the wearer is engaged. On the left hand with the point of the heart toward the wrist, the wearer is married. Even if you aren’t Irish, would you wear a Claddagh? See some of our Claddagh jewelry online here. This entry was posted in Jewelry, Jewelry History, Jewelry News, Jewelry Trends, Jewelry Trivia & Facts and tagged claddagh, claddagh jewelry, claddagh ring, irish, irish jewelry, jewelry warehouse, march, meaning of the claddagh, rings. Bookmark the permalink.